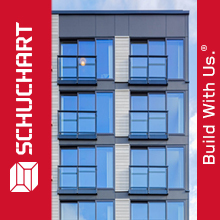 The NAIOPWA app is free to download! 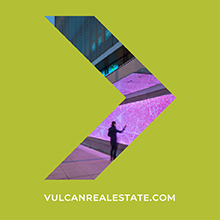 Download what you need to know: The political news that affects CRE, and what NAIOP WA is doing to ensure a positive environment for our industry. 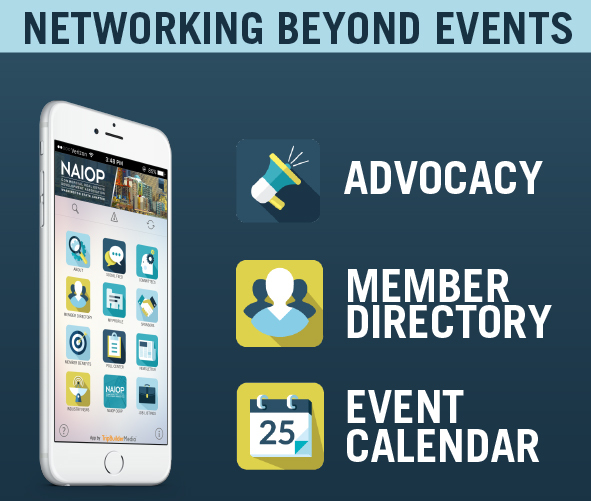 The NAIOPWA app event calendar features expert bios, a social media/chat area and complete registration lists and post-event materials. Download meeting slides and attendance lists for one month after the event. 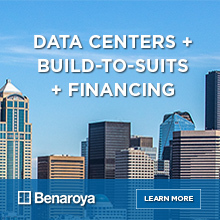 More than 6,000 connections have been made in the most comprehensive CRE directory in the Pacific Northwest in just five months of app use. 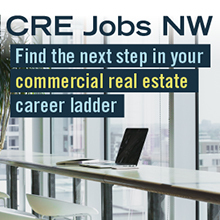 Look up a contact by industry, job specialty or company, and call or email with a single click from the app. Plus, use the “My Profile” module to add your headshot, LinkedIn and Twitter accounts to the directory. A powerful new communication tool for committees. Upload your roster and meeting materials, send push notifications, and share ideas and photos in a private, easy-to-find spot in the app. This members-only module is visible to committees who choose to activate it. View slide presentations and attendance lists from archived events. Miss a week of our email newsletter, or need to reference last week’s issue? Six weeks’ back issues are archived in the Weekly Update module. We’re adding features to better serve NAIOPWA members. Let us know what you want to discuss, or any other feedback on the app! Email [email protected]. Click on the paperclip icon (labeled "Materials"). Click on "Export" in the top right corner. Enter your email address and select which materials to export, then press send. Your login is your email address and password, which is set to your last name unless you have changed it. To update your password, click here to request a password reset link or contact [email protected]. To create an account to log into the app, click here and follow the prompts. Your account will be active in the app in one hour or less.